Yes, there are lots of Olympians out there, those who have competed in a variety of games and sports, many we can speak about. 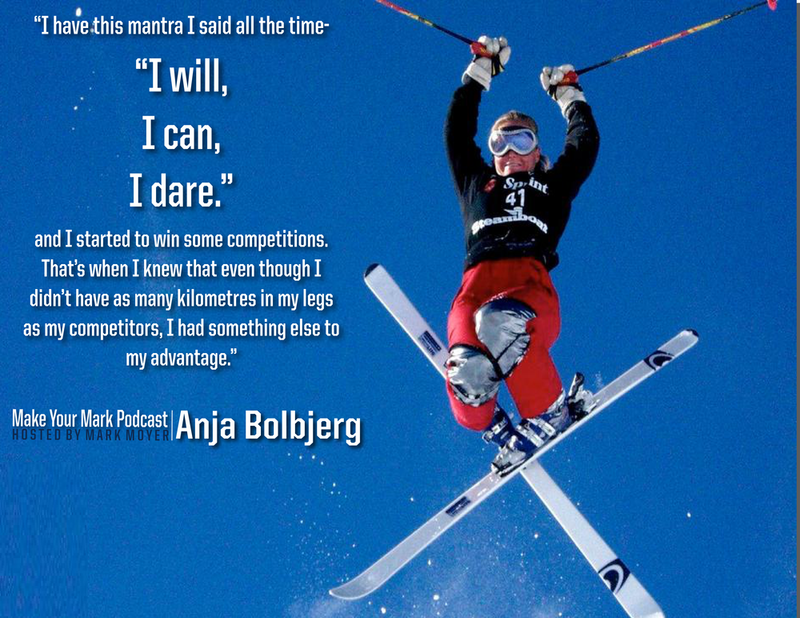 But I had the specific privilege of speaking with Anja Bolbjerg, who as today’s #Make Your Mark podcast guest, did not necessarily dominate the medal stand at the Olympics, but more importantly, has impacted former athletes and executives in how to find the right physical and mental balance to truly make an impact going forward. Anja is such a fine example of the competitive spirit that burns inside of all Olympians. Imagine the pressure of performing at your all time best in that one-minute time span at the Olympics after four grueling years of training. Every Olympian faces that, and with Anja, she has leveraged that competitive spirit to her new endeavor, reaching out to other Olympians and other elite athletes in Europe and elsewhere to get their minds and bodies in the right place to be elite performers once again! Anja and I cover so much ground in our episode! Including the importance of being prepared for the transition between an Olympian and a career after your sport, how random and luck played a big part in becoming an Olympian, and how pivoting at a later age can be instrumental in your career success. Anja is such a wonderful person to speak with, and for those of you who deal with her directly, lucky you, as she is inspiring and supportive at the same time. Happy listening!